Most of the time when we talk about a new car about to be taken to spotlights in the European market, the first that pops into our heads is that it must be some kind of a sports car. 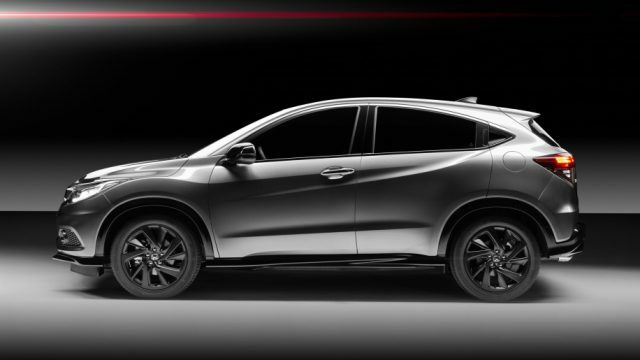 This time, however, Honda is mixing things up by assembling a crossover with a powerful engine under the hood. Not that the original Honda HR-V itself has problems or anything, but we would love to see what Honda can do when it comes to turning crossover SUVs into a much faster and powerful vehicle. The Honda HR-V Sport, as it will be called in the European market, will be powered by a turbocharged engine and there will also be an option for manual transmission. The automaker is turning a lot of screws in the right direction, and we would love to see the outcome of this unusual venture. The HR-V sport will feature the turbocharged 1.5-liter four-cylinder engine that it has used in the latest-generation Honda Civic and Honda CR-V. The engine is capable of producing 180 horsepower with 177 pound-feet of torque with a manual transmission while the automatic CVT system can max it out at 162 pound-feet of torque. This is the same engine that we have seen in the Honda Civic Sport Hatchback too. Apart from the engine, the HR-V Sport is also getting upgraded shocks. 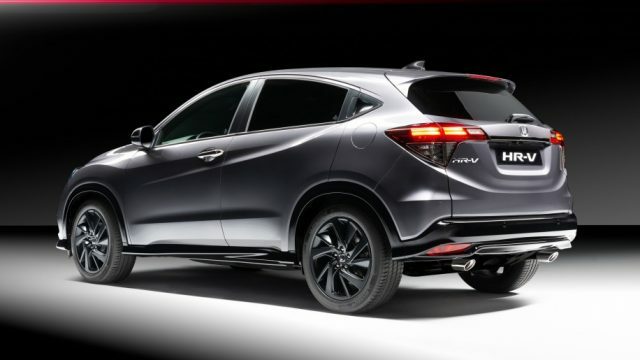 The performance of the Honda HR-V Sport is not the only aspect of the vehicle that is being revisited by the company. 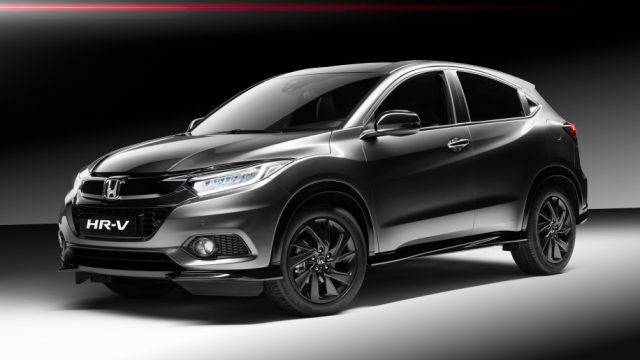 The upcoming Honda HR-V Sport has also gone through some visual redesigning and has come out looking more aggressive and mean than the standard HR-V. To complement the vehicle’s aggressive body, Honda will ship out the Sport HR-V with black wheels. As for the interior, the entire cockpit has been overhauled. The HR-V Sport will feature a red and dark black upholstery. The overall new features and upgrades result in a pretty sweet combination and a powerful setup for a sporty crossover SUV. We have also deeply enjoyed the Honda Civic Sport Hatchback which is powered by the same engine and has roughly the same weight as the Honda HR-V.